Vineyard-typical savory aromas: pine cone, truffle, forest floor and wet loam leads to blackberry and boysenberry fruit. A little rose petal and violet floral lift. Powerful palate entry, full, rich and expansive — wild berries, elderflower and a hint of rye. Broad texture builds, supple and round. Mineral and slate laced tannins on a perfumed finish. Approachable on release but it will develop greatly given a year or two in the cellar. Drink between late-2017 and 2023. This two-acre parcel of mature non-irrigated vines, grown on an exposed windy volcanic outcropping, produces a wine that is as wild as its environment — a straight shot off San Pablo Bay. The wind and rocky soils place natural limits on what these vines can realistically produce, so the resulting wine is always concentrated, deeply flavored and highly expressive. In many cases it’s the vines which struggle the most that produce the most characterful wines —and this is no exception. The fruit tones are dark and soil-infused, wild and earthy with sweet truffle complexity. It’s a really succulent wine, not too firm, with lovely charming texture and breadth. 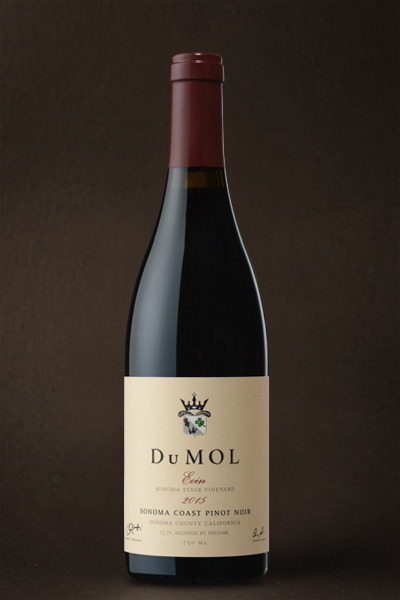 We bottle this wine slightly earlier than the other Pinots to fully capture all the subtle site nuances that make it so unique.